*Present address, Fachbereich Physik, Philipps Universität Marburg, Renthof 5, 35032 Marburg, Germany. 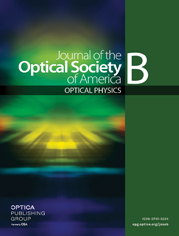 We analyze the dynamical response of the interacting photon and electron–hole system in short-cavity bulk semiconductor lasers, including many-body effects of the electron–hole plasma and photon system, the interaction of electron–hole pairs and photons, and the selection of photon modes by the cavity. Carrier–carrier and carrier-phonon scattering is treated at the level of a quantum Boltzmann equation. Numerical solutions of the coupled equations for spontaneous and stimulated emission and carrier distributions show the development of lasing out of spontaneous emission and the stabilization of laser action connected with gain saturation and spectral hole burning. The saturation of the output intensity and modifications of the relaxation oscillations are investigated.